A painting by Francis Bacon of his lover and muse George Dyer will be shown in London for the first time in more than 40 years this week, ahead of its debut auction at Christie’s in New York in May. Painted in Paris in 1977, Study for Portrait was last exhibited in London the same year in the Royal Academy group exhibition, British Painting: 1952-77. It is now on view from today, 9 April, until Friday, 13 April, at Christie's London. The canvas, which is estimated in the region of $30m, is described by Francis Outred, Christie’s chairman and head of post-war and contemporary art, as “a glowing, visceral celebration of Bacon’s most iconic muse”. 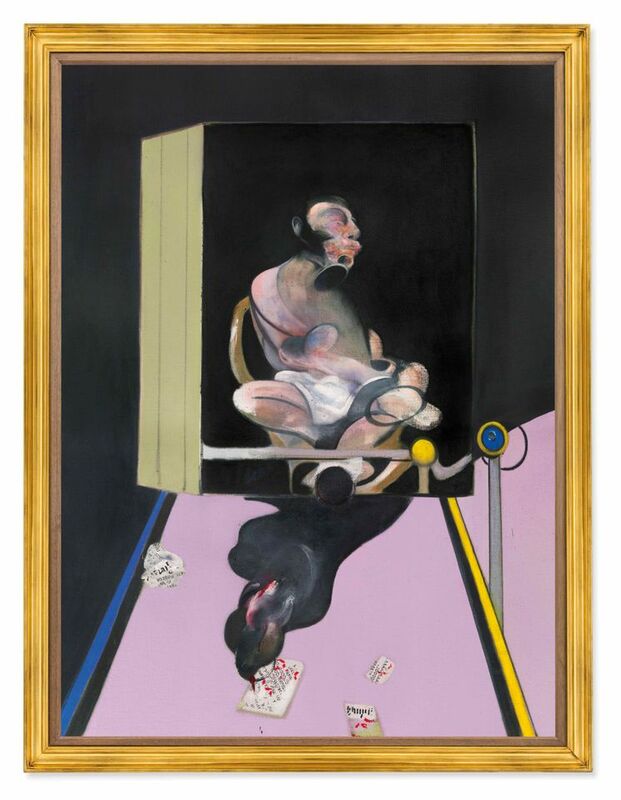 In 1971, six years before Bacon painted the portrait, Dyer had killed himself in the couple’s hotel room, just two days before the opening of Bacon’s first mid-career retrospective at the Grand Palais in Paris. Tormented by grief, Bacon returned frequently to Dyer’s image in the ensuing years, producing a series of Black Triptych portraits in the early 1970s. However, pierced by shafts of bright blue and yellow paint and smears of red pigment, Study for Portrait represents a shift in style for Bacon as he built a new life for himself in Paris. The painting is being sold by the collector Magnus Konow, the son of a Norwegian Olympic sailor who befriended Bacon in the 1970s. During this period, Bacon regularly visited Monaco, sometimes with Lucian Freud, where he would stay with Konow, gambling in Monte Carlo’s casinos sometimes for days at a time. Konow bought the work from Bacon through Marlborough Gallery shortly after it was painted, and has kept the work in his collection until now. Bacon’s market has rocketed in recent years. A triptych of the artist’s friend and rival Lucian Freud sold for $142m in New York in 2013, becoming the most expensive post-war and contemporary work of art ever sold at auction. And last May another triptych of Dyer sold at Christie’s for $51.8m. But there have been minor blips too. In October last year, a 1971 study of Dyer and a Pope with an estimate of £60m failed to sell at Christie’s in London. Outred acknowledges this was “a disappointment”, but describes Bacon’s market as robust. “He has consistently been at the top of the contemporary art market throughout his life and since,” Outred says. Indeed, with a third-party guarantee, this painting has effectively been sold already.